I was there in 2000, doing my very first series of US Open columns. It had been eight years since Brian Dunn had won the title and the world was thirsty for another American winner. 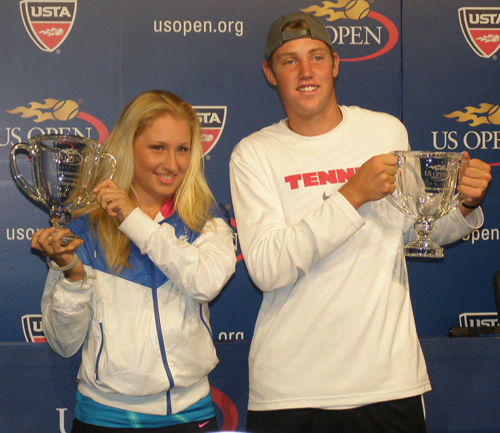 An 18 year old Andy Roddick gave it to them. Today, 10 years later, I stood and watched another boy from Nebraska repeat the feat. If you would have told me after that incredible final between Andy Roddick and Robby Ginepri that Andy would be winning the men's singles title a few years later, Robby would still be playing great tennis a decade later, there would be a drought of American winners in the boys' singles, or I would be writing my daily column for the eleventh year, I never would have believed any of that. 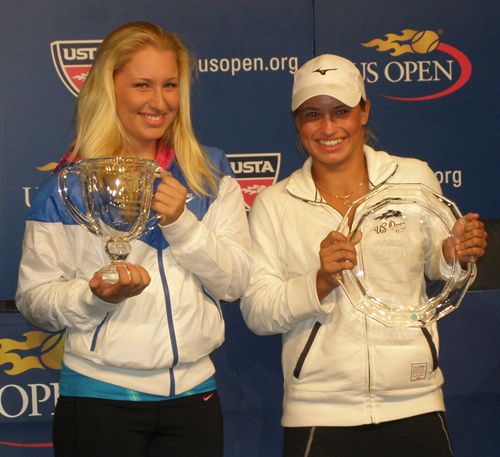 But it all did happen and it all brought us to the 2010 US Open. 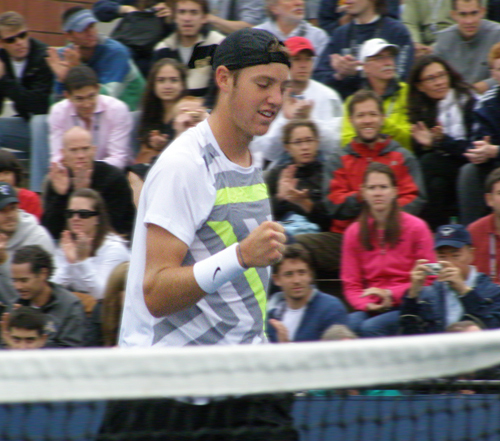 The one thing in all of this that does not surprise me is the fact that Jack Sock won today. I predicted it on day one of the Junior Championships and there's one word that describes why -- consistency. I have watched Jack play and grow (mentally and physically) since he became the first player since Al Parker did it in 1981 to win the singles and doubles of every major national junior event. He has overcome injuries and changes in the sport, always remaining consistent. He is one player I know will sit down and talk to me after a match whether he won or lost, rarely making excuses. He proved his talent at the Nationals at Kalamazoo and it is fitting that he became the first player since Brian Dunn to win the US Open boys' singles after winning Kalamazoo. 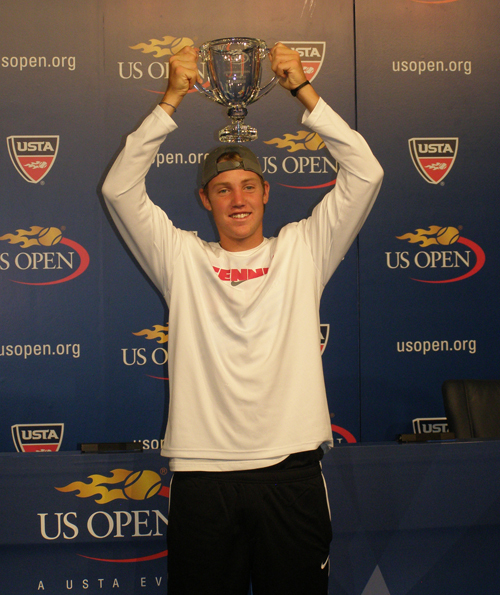 There's one more very important person I left out of this -- Denis Kudla. Denis had an incredible run and was the catalyst that provided a huge audience on Court 11 with one of the best junior matches I've ever seen. Both boys showed off their skills from volleys to lobs to drop shots. Though Denis' serve was a bit off today -- probably the decisive factor in the match -- it was a match to be remembered for the display and not just the historical significance. The final score of 3-6,6-2,6-2 does not tell the story of deuces and winners that I hope someone has on tape. As I've complained every year, it was impossible to watch both junior finals. I can tell you that I did watch the scoreboard and top-seeded Daria Gavrilova may have taken the match at 6-3,6-2, but there were close games and challenges by the unseeded Yulia Putintseva as the two Russians battled for the title. It will be hard to duplicate the excitement and emotion of this year's US Open Championships, but I expect to be back in 2011 to welcome some new players in my 12th year At the Open. And it won't surpise me if Andy isn't the only American to transition from the trophy on Court 11 to the trophy on Arthur Ashe Stadium, though I think a bit of college in between might be even more beneficial to Jack Sock.